Ligawa, ligawka, legawka - it's kind of a long wooden trumpet. It belongs to the folk wind instruments and aerophones group, known in Poland since the eleventh century. Ligawa was popular especially in Mazovia. An arched ligawa has the form of a corner and is longer than 1 meter. The instrument is usually whittled from spruce or alder and consists of two halves glued with wax. 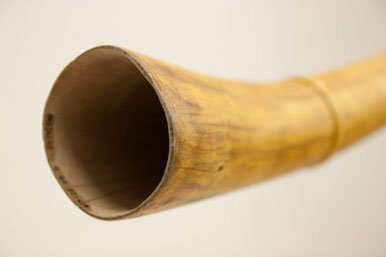 The sound from ligawa comes from blowing the proper air pressure into the embouchure and getting more tone elements so-called aliquot tones. The ligawa's sound is shrill, somewhat similar to oboe, and even stronger. The name ligawa derives from the Polish word: “leganie” i.e. leaning it while trumpeting, because original ligawka had from 2 to 3 yards length and it was too heavy to be able to play it freely without support. Our website and sound bank help to carry out workshops in every part of Poland. You need to have an access to the internet and several computer stations (you can use e.g. computer room in school). 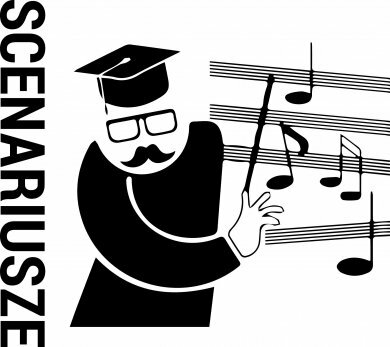 We present two scenarios, so that step by step you can create the Orchestra of Invisible Instruments in your school.